As we approach the publication of the Result Excellence Framework (REF) 2014 results, Professor Nick Talbot reflects on University of Exeter’s research. This post first appeared on the Senior Management blog. 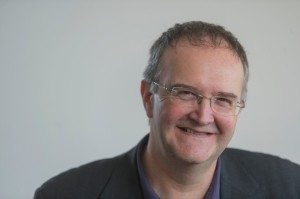 Professor Talbot is the Deputy Vice Chancellor for Research and Knowledge Transfer. Welcome to the first of a series of blogs that I will be making as Deputy Vice-Chancellor (DVC) for Research and Knowledge Transfer at the University of Exeter during the next academic year. This is an exciting time to be DVC, because there is so much diverse research activity throughout the institution, and it is a time of great change and growth. We have made extraordinary advances as a University in recent years, with large increases in research income, which exceeded £60 million per annum for the first time in the University’s history in 2013/14. Research income at Exeter has risen 63 per cent in the last five years, which is the biggest rise among our Russell Group companions. This was developed on the back of £77 million of new research awards in 2013/14 and £292 million of applications made by academic colleagues during the last year. We have seen a 55 per cent increase in Research Council funding in the period, which contrasts with the sector increase of only 1.7 per cent. As I write, there are more than £200 million worth of current projects underway in the University. That’s a lot of new ideas and new discoveries being made by colleagues across the University. Clearly then Exeter’s research performance is bucking current trends and advancing significantly. This is, of course, the result of an extraordinary amount of work by academic staff from right across the University in developing and formulating new research proposals, ably supported by Professional Services staff in their Colleges and across the institution, including our Research and Knowledge Transfer (RKT) division. Indeed, working in close partnership with academic PIs and a range of professional services, each of our RKT research managers helped to win more than £3 million of new research income to the University last year. Of course, research income is just the beginning of the process, but it is an incredibly valuable measure of the power of the ideas we are generating and the new projects upon which we are all embarking. In future posts, I will provide more information on how we are doing institutionally with regard to our publications, their citations, our new major monographs in the humanities and social sciences, as well as notable discoveries and impact. In this series of blogs, I will be talking about the things that tend to be uppermost on my mind. I am an active researcher and therefore, at times, my posts may be diverted into areas about which I am particularly interested (obsessed, some might say…), such as fungal biology, plant diseases and food security-associated research. I apologise to all my colleagues who work outside of these areas (almost all of you! ), but as fellow researchers I hope you can occasionally indulge me, since you will recognise how we all tend to enthuse about our own research interests. So, what are the things that are uppermost on my mind at the moment? Well, perhaps not surprisingly, the results of the Research Excellence Framework 2014, to be published on December 18th of this year, loom very large indeed. Looking back at the REF2014 submission we made at the end of last year, I believe that the University really did show-case the very best of its research activity across the full spectrum of our activity and, therefore, I hope that we will see an improvement in the amount of our research which is rated as world leading and internationally excellent. The results will, however, reflect both our strengths and our current limitations. It is worth remembering that this was the first REF/RAE exercise in which all staff were returned for their overall contribution in terms of income, scholarships and impact, while we were able to be selective with regard to publications returned. Exeter submitted outputs from 82 per cent of our academic staff to this exercise and also a diverse range of impact case studies. Clearly, many universities embarked on the process with quite different strategies. Some institutions were highly selective in the outputs they returned, while others were much more inclusive. We tended towards inclusivity where possible, recognising the vibrancy of our entire research community, but also the extraordinarily high number of early career researchers in Exeter, compared to many of our competitors. Thirty per cent of our academic staff are early career researchers currently– a much greater proportion than across the entire HE sector. This of course, bodes extraordinarily well for the future, given their exceptional potential and promise. We tried hard to showcase as much of our research as possible, recognising that we are a research-intensive university, with many young and upcoming staff. My overriding aim as DVC is that young academic staff will see Exeter as being the place in which they can forge their academic reputations and realise their full potential. The REF2014 process will deliver the next round of Quality Research (QR) income to the university. This is important income for the University. QR funds academic research time and, can contribute to the shortfall in funding from research grants (which are only awarded at 80 per cent of their true cost by RCUK) and underpin the vital research infrastructure across the university. Therefore, more than anything (and this includes the inevitable league tables that will be compiled as a consequence of the REF), the most important thing about REF2020 is that we hope that it will deliver more QR to Exeter to support and sustain our growing research base. Whilst we will publish our REF results on 18th December, we won’t find our QR allocation until the end of March! Interestingly, REF2014 is still built very much on traditional academic disciplines, whereas increasingly, Exeter’s research really does embrace interdisciplinary research themes that cut across the humanities, social sciences and both experimental and theoretical sciences. Some of our leading staff sit at the fertile boundaries between these disciplines so it will be interesting to see how the REF2014 process evaluates their contributions. I have confidence that quality will shine through, but this is an important test for the REF process. In fact at Exeter, we are now embarking on true transdisciplinary research, in which very large integrated teams of researchers tackle problems that would be impossible for any one academic discipline to address. These include, most notably our activities in climate change and sustainability research, which are so fundamental to the university’s future direction. To kick off 2015, I’ll be discussing the university’s research infrastructure and the Living Systems Institute building going up next to the Geoffrey Pope Building and how we’re seeking to develop closer and more fruitful interactions with industry. Until then, enjoy the run up to Christmas and hopefully a peaceful time with family and friends. This entry was posted in news, research on 16th Dec, 2014 by Lara Faith Cronin.